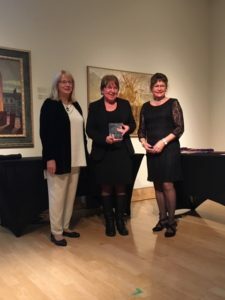 Recently retired CEO of the New Brunswick Museum (NBM) For twenty-four years Ms. Fullerton served the people of New Brunswick in a variety of positions at the New Brunswick Museum (NBM). As Assistant Director, Manager of Interpretive Services, Acting Director, and Chief Executive Officer, Jane has been a leader not only of the Museum, but for the heritage community as a whole. 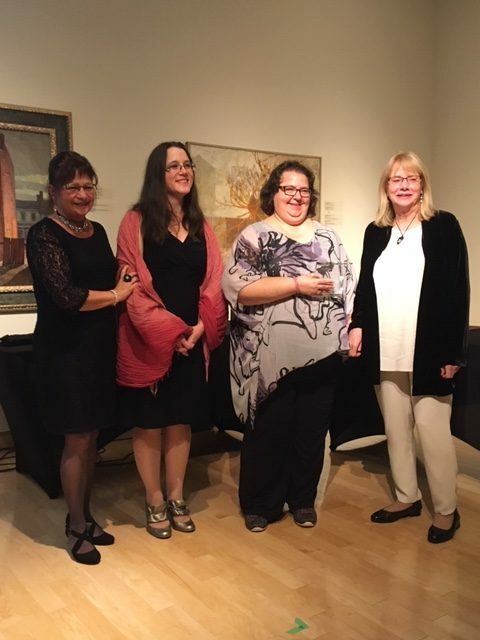 Under her leadership, the New Brunswick Museum has provided support to numerous special projects including Stonehammer Geopark, and the New Brunswick Mat Registry. Recently retired Research Curator of Botany and Mycology at the NBM. 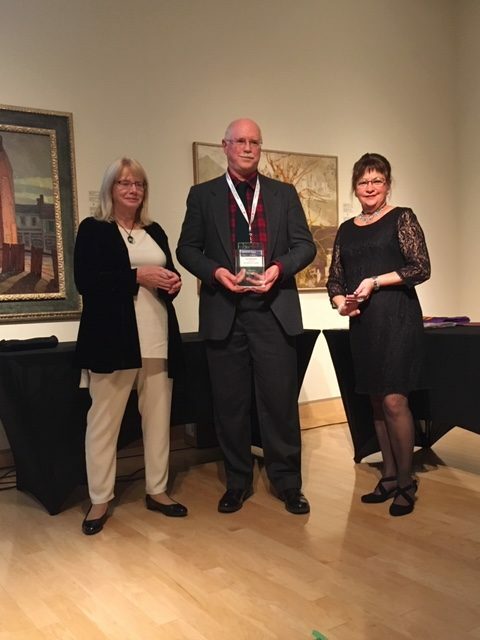 Dr. Clayden spent 30 years at the NBM, and upon his retirement, he was appointed Curator Emeritus, and more recently he was appointed NBM Research Associate. Dr. Clayden’s fascinating research focuses on lichens, conspicuous but little-studied inhabitants of rocky outcrops, tree trunks and branches, and bogs and heathlands. 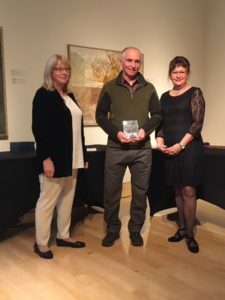 His special interest in the distribution and diversity of lichens in the Maritimes, but he is also an expert on vascular flora (trees, shrubs, wildflowers) of the region. Recently retired Research Curator of Geology and Paleontology at the NBM. 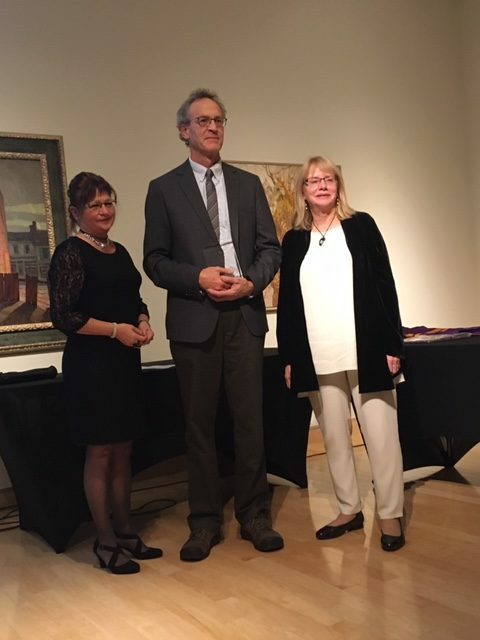 Dr. Randall Miller spent 31 years at the NBM, and upon his retirement, he was appointed Curator Emeritus, and more recently he was appointed NBM Research Associate. Dr. Miller devoted his career to promoting the value of the NBM provincial geoscience collections, building those collections, and interpreting the materials for both public and specialist audiences. He was also the driving force behind Stonehammer, UNESCO Global Geopark. Architect and member of Fredericton Heritage Trust As a board member of Fredericton Heritage Trust since 1995 (5 years as vice president and 2 years as president), Ian participated in the development of the first edition of the Building Capital walking tour booklet, lobbied against the demolition of York House, encouraged the restoration of the York St. train station and curated the exhibit A Celebration of Our Union Station. A registered architect since 1983, Ian’s professional work has focused on single family residences, including renovations/additions to several heritage homes. Curator at Université de Moncton Jeanne Mance Cormier has been employed at the Université de Moncton’s Musée acadien for 30 years and its curator since 1992. She’s passionate about material culture, interpretation, museum management and adult education. 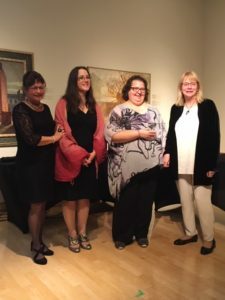 In recent years, she has implemented several educational media projects and exhibits, as well as helping develop several cultural policies in New Brunswick. Many young professionals in the province will confirm she was of great help to them at the start of their careers. She firmly believes in the strength of youth and always gives young people opportunities for development and experience.